Thin is in and everybody’s mad about it. Everyone from Motorola to Samsung is trying to make their phones as thin as possible. But the crown of the world’s thinnest phone currently goes to an unlikely winner – the Huawei Ascend P1 S with an unrealistic 6.68 mm thickness. But its thickness is just the beginning. 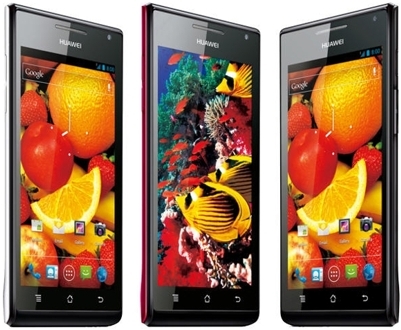 The Huawei Ascend P1 S has much more on offer. It comes with goodies like Ice Cream Sandwich OS out-of-the box and a 4.3-inch Super AMOLED qHD amongst many others. The best part though is that it is going to land on Indian shelves very soon. So, what is the story behind this phone? Should we be excited about it? Read on. Huawei showed off the Ascend P1 S at this year’s CES. Prior to its release, it was the Motorola Razr that held the title of the world’s slimmest phone. Huawei, it seems has set foot in the big league with this phone. Besides offering more than impressive specs, the Ascend P1 S looks quite good. But, here’s the biggest question – will anyone still take Huawei seriously? India has been always the market of conventional brands such as Nokia and Samsung. We still look down upon brands such as Huawei as second-rate phones for those people who cannot afford first-rate ones. It is still hard to anticipate whether people would be willing to make the switch to Huawei. So, will Huawei remain delegated to the backseat of the mobile market or will there be a change in ranks with the release of the Ascend P1 S? Stay tuned.